We've spoken about this before but pink is very much the go-to colour of recent months. And we don't imagine that its popularity will slow down anytime soon in autumn. 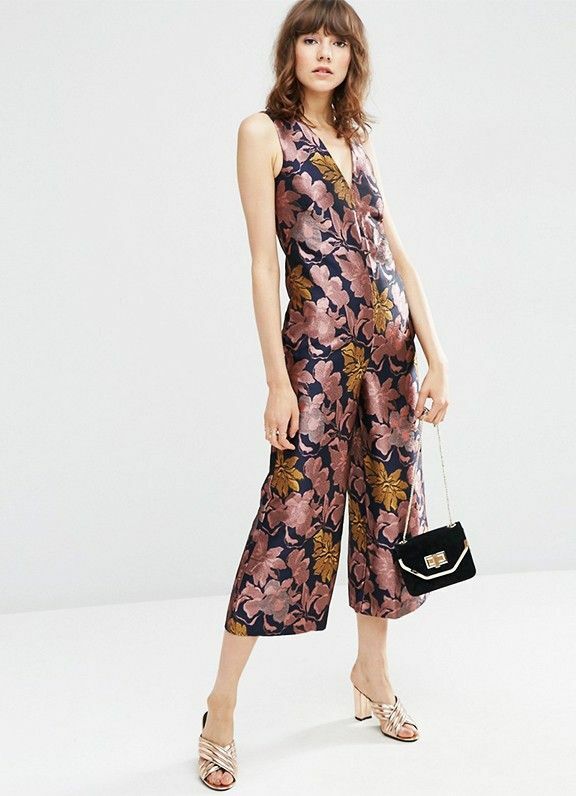 Over the weekend, while shopping online (because of course that's what we do in our downtime), we discovered that there are so many pieces on ASOS right now that really deserve your attention and all, you guessed it, are pink. From a fantastic oversize longline bomber jacket in a baby pink to a tiered and frilly gown that is more of a dusty hue, we've found some of the most covetable items on the shopping site right now. Click through our gallery for our picks of the best items to shop on ASOS right now. Wear in the summer on its own, and then pop a black roll neck underneath to future-proof this item for the chillier months. Yes, we know it's the middle of summer but that doesn't mean you can't start to plan ahead. Plus, this will look seriously cute with a white shirt underneath and a pair of white trainers. Want a sweatshirt that doesn't look too much like you just finished working out? This satin version is just the ticket. Bad news: wedding season isn't quite done yet, people. Good news: there's still time to wear this gorgeous dress. Candy floss pink shoes never looked so chic. This skirt does the ballet trend justice. The slip dress isn't going away anytime soon. Invest now, don't regret later. Velvet is going to be BIG next season, so shop for it now. The contrasting pink and burgundy make this dress a must-buy. What will you be shopping? Let us know in the comments!